Today, September 27th at 2pm ET, I participated in my first Twitter Chat using the hash tag: #GetRealChat. I really enjoyed the Twitter chat and found it to be extremely helpful. I learned many new tips that I will definitely keep in mind when utilizing social media. Pam Moore was in charge of the Twitter chat and started off the chat by asking us to introduce ourselves. We then began discussing Conversion Rate Optimization #CRO. She provided us with a link to her blog post: http://www.pammarketingnut.com/2016/09/conversion-rate-optimization-20-factors-impacting-your-sales-and-roi/. According to Pam Moore, “Conversion Rate Optimization (CRO) is a process for increasing the percentage of visitors to a website that convert into customers or take the desired action the owner of the website is wanting the website visitor to achieve.” Before the chat, I was not very familiar with Conversion Rate Optimization at all. However, throughout the chat I was able to get a better understanding of it. There was also another great point mentioned in the Twitter chat about trust. 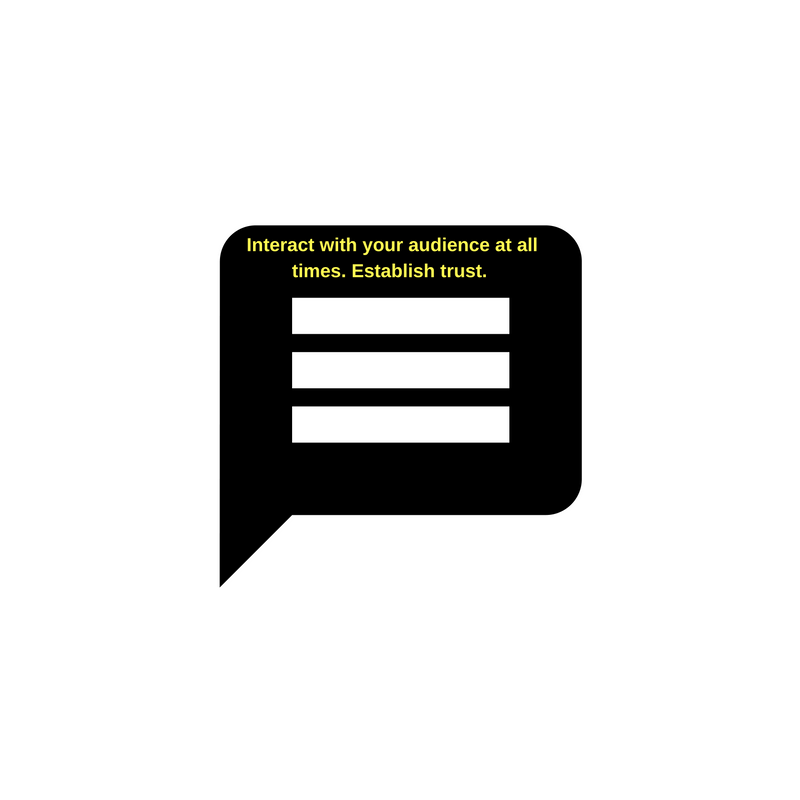 @PamMktgNut mentioned that, “Trust is so very important. If they don’t trust your site, your brand, it’s wasted effort. Establish trust fast.” Without trust, where would you be? You won’t get very far. You need to establish an honest relationship with your audience. Otherwise, your site or brand will be at huge risk. There is no point to waste all your time and effort on something that is unreliable. It is also always important to double check your links and make sure that they are working properly. This was another tip that was given during the Twitter chat. I also learned this in my Social Media Management Class. Nothing is more annoying than trying to access a link that does not work or takes you somewhere else. Finally, never forget to make sure that your site loads quickly! This was one of my favorite tips that was also given during the Twitter chat by @PamMktgNut. You always want to make sure that your site is loaded properly and quickly so that you do not lose your audience! Overall, I gained a lot of knowledge from the Twitter chat. Twitter chat is a great way to interact with other users and to share your ideas about a specific topic. I will definitely take advantage of another Twitter chat in the future.